THE MODEL: An app which delivers craft beer from local breweries directly to your office every Friday. Also users can get beer for any special occasion on any day of the week. 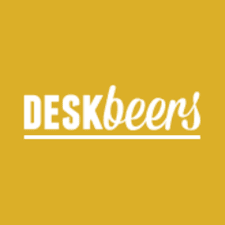 Core Idea – A platform to deliver craft beer to the office on Fridays. About the Beers – The beers come directly from small, independent micro-breweries. Also each box contains a variety of beers since different people have different tastes. B2B Subscription Service – Customers have to subscribe to the service for a weekly, fortnightly or monthly delivery. Quick purchases for special occasions are also available on any day of the week. Benefits to Users – The service is easy to start, modify or cancel. Also users can try out the best beers sourced directly from breweries. Calling in beer on a Friday also makes the atmosphere in the office more relaxed and makes it like an event where everyone can bond and interact with each other. Scalability – The business is difficult to scale as it involves first tying up with different breweries and then setting up a logistics network. Business Model – The model is one where profitability may be a concern. Customers may not want to pay more than a reasonable premium for this service and hence margins may be very tight.